SCARBOROUGH – The Scarborough Town Council will vote next week on the new fiscal year budget, which includes both school and municipal spending, and attempt to finally put to rest the debate that has raged for months regarding dog access to the town’s public beaches. The council will hold final votes on the budget and amendments to the animal control ordinance at its meeting scheduled for 7 p.m. on Wednesday, May 7. This week, the Board of Education and the council were set to hold a joint workshop session after the Current’s deadline. Leading into the budget vote, Town Manager Tom Hall said the council’s Finance Committee has reached consensus on reducing the municipal side of the budget by $141,395 and the school board’s Finance Committee is looking at a reduction in its spending request of about $467,000. The combined budget amount still on the table is nearly $57.8 million, which would result in an increase of 96 cents per $1,000 of valuation or a tax rate of $15.73 for a total increase in spending from this year’s budget of 6.4 percent. Based on comments made at a public hearing on April 16 and on prior comments made by town councilors, however, it’s likely that the bottom-line spending package approved next week will be reduced even further. However, he’s also aware that people in town are upset about their property taxes. Sullivan said he hoped the school board would bring forward suggestions for reducing spending on the school side at this week’s budget workshop. In terms of how he would ultimately vote on the proposed budget, Sullivan said he would have to wait and see what his fellow councilors want to do. Councilor Jessica Holbrook, chairwoman of the council’s Finance Committee, did not respond to a request for comment before deadline, but Councilor Edward Blaise said his goal is to continue to push for no new spending. “I have been pushing for a flat line budget for the past two years and will continue to do so throughout this budget cycle,” he said this week. As to how much off-leash access the town will provide to dogs on the beach, Sullivan said it’s time to put the issue to rest and move on. 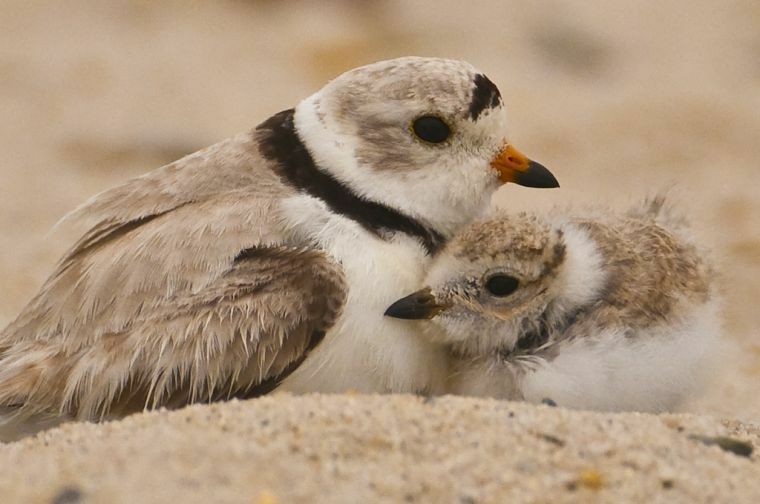 That’s especially true since nesting pairs of piping plovers have already been spotted on Scarborough beaches by staff with Maine Audubon. The question of whether the town should limit access to its public beaches by dogs has gone on since a dog killed a piping plover on a Scarborough beach last July. Subsequently, the town was slapped with a $12,000 fine by the U.S. Fish and Wildlife Service for failing to protect plovers. Sullivan said his goal is to introduce amendments to the animal control ordinance that give dogs as much year-round, off-leash time as possible, while also protecting the plover, which is a threatened species federally and an endangered species in Maine. Under his proposal, only two sections of beaches in town, which are privately owned, would be off limits to dogs completely during the plover season, which generally runs from April 1 through October. In addition, Sullivan said the town would hire a plover coordinator as recommended by the U.S. Fish and Wildlife Service and would also create an enforcement plan with the police department to ensure people are following the rules by keeping dogs out of restricted areas designed to protect the plover. He said it’s “virtually certain” the changes to the animal control ordinance the town is prepared to make would fall short of the expectations of the federal government, and Hall said he’s not sure what that would mean in terms of the fine the town is facing. Hall said that the amendments Sullivan would bring forward next week “provide as much (beach) access as possible, with year-round, off-leash opportunities,” while also including “species protection” measures. Piping plovers have returned to beaches in southern Maine, including in Scarborough.